Purchase this product now and earn 195 Points! 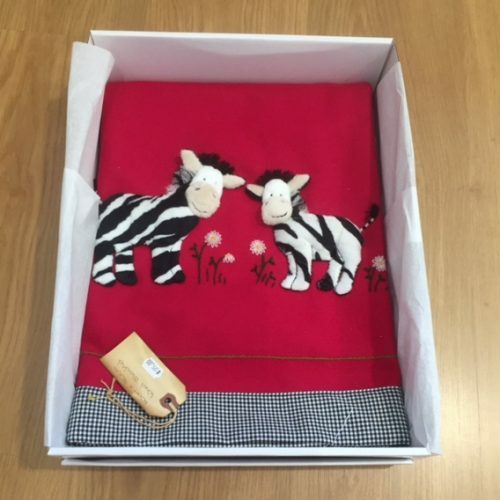 This delightful Zebra applique blanket was designed by Jan Kerton of Windflower Embroidery. 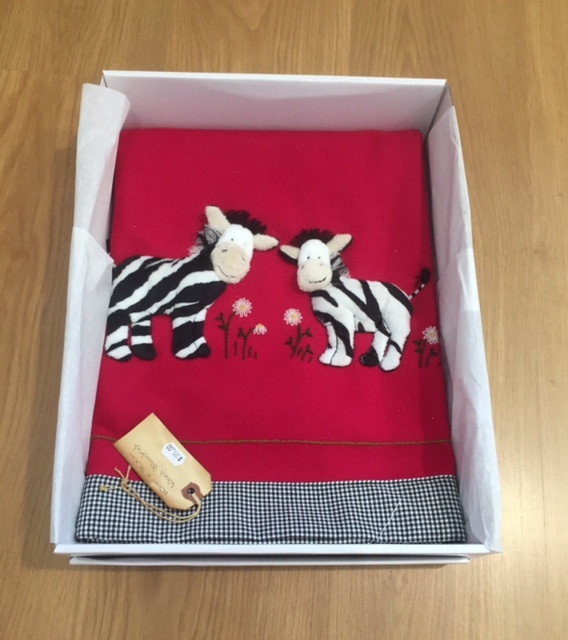 Featuring fuzzy zebras set against a raspberry red wool cashmere background, this blanket is ideal for both boys and girls. The blanket is backed with black and white checked gingham and measures 110 cm long and 80 cm wide.